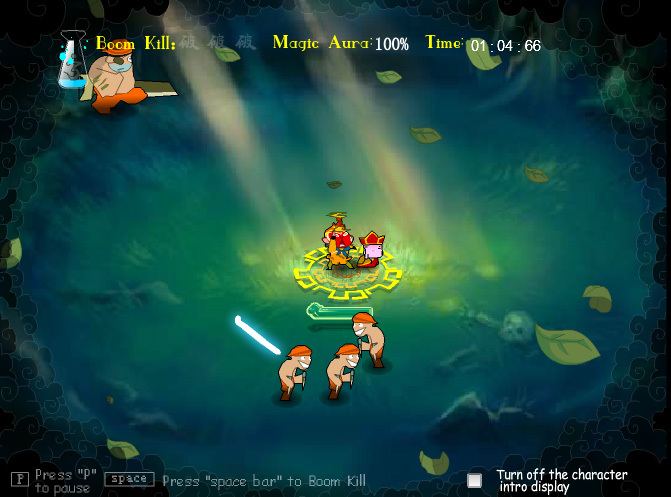 Join Sanzang the Monk and his three disciples as they make their journey into the Chaotic West. 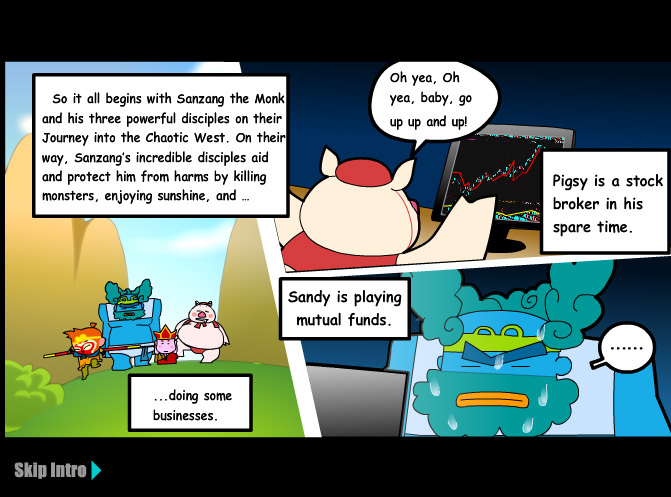 This group of free-spirited warriors protect one another from any monsters and harm, and are quite the force to be reckoned with, even in the game of stock exchange. 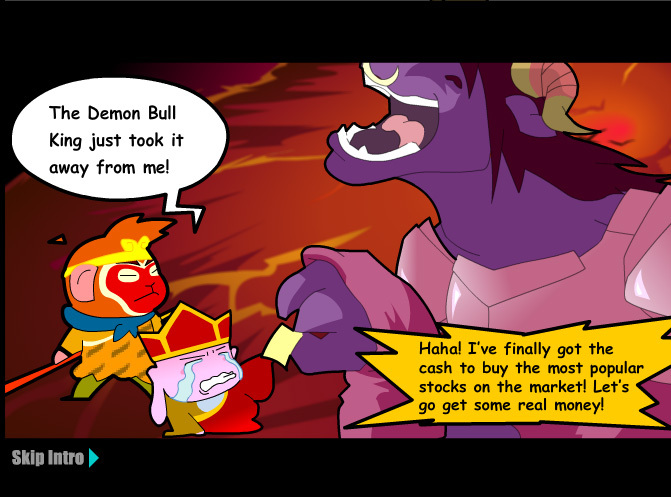 When Sanzang finally wins the lottery that he has been playing his whole life, the Demon Bull King steals away his fortune, in aims of crashing the stock market. 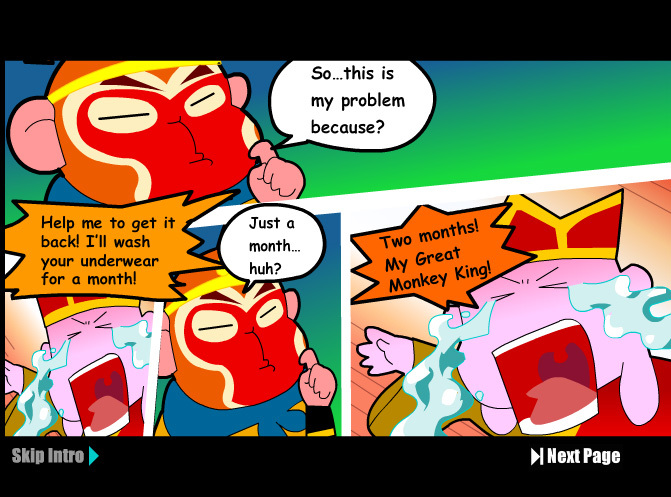 With the help of Monkey (and the promise of doing his underwear laundry for a month), he aims to take back what is rightfully his. 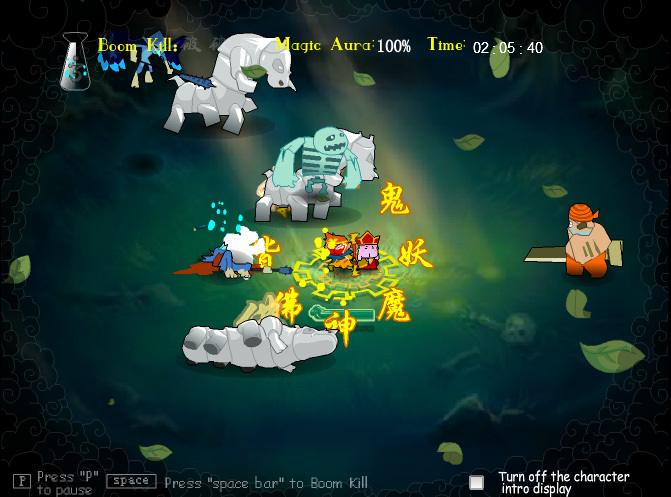 Players take on the role of the apathetic yet active monkey, fighting horde after horde of more and more powerful enemies, wielding a lethal staff with just the click of the mouse. As enemies come inward toward you and the Monk, clicking a line across the intended area to attack will execute either a short or long blow, depending upon how far your click spanned. A protective aura cast by the Monk will keep the two of you safe for 3 attacks, while the 4th will be deadly. 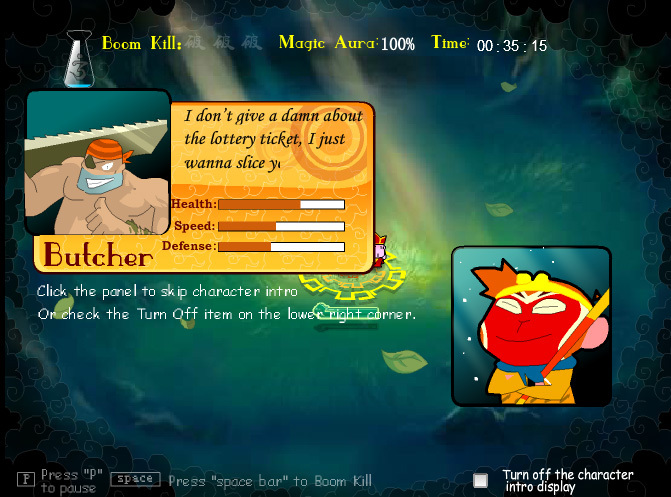 Pressing Space Bar will initiate a Boom Kill, which drops every enemy on the screen, and should only be used when in a dire circumstance. This game is not worth being called monkey king!!!!! Look at the sh*tty graphics!!!!! Search for the real monkey king game so you can see the difference. This game is a disgrace for the real monkey king.